The Regional Universities Forum for Capacity Building in Agriculture (RUFORUM) Secretariat is pleased to announce the fifth round of PhD scholarships available through the German Academic Exchange Services (DAAD) funding support. About the Award: These scholarships are targeting both in-country/in-region (sub-Saharan Africa) applicants to support selected RUFORUM regional PhD Programmes in the Eastern and Central Africa (ECA). The scholarships are tenable for the 2018/19 academic period. DAAD promotes international academic exchange as well as educational cooperation with developing countries through various funding and scholarship programmes. The PhD training programmes will commence in September 2018; therefore, only candidates available to start the PhD training this September 2018 need to apply. Applications are invited from qualified candidates in relevant disciplines (the last university degree (MSc) must have been completed less than six years ago at the time of application) from Sub Saharan Africa. It is important to note that applicants with other funding sources for their PhD programmes will not be considered for the DAAD/RUFORUM scholarships. Duration of Scholarship: The PhD Scholarships are available for a period of three years beginning in September 2018. 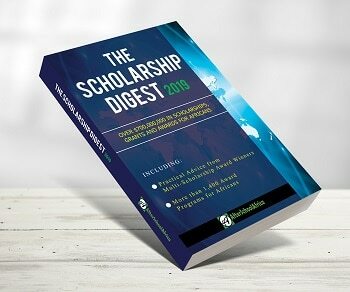 The scholarships will be initially granted for one year and may be extended upon individual student request and receipt of a complete application by using the attached form provided by DAAD secretariat. A Ph.D. research proposal (which must demonstrate relevance to development (the sections should include research area (background, rationale, objectives of the proposed research, proposed Methodology, and expected Results) and a detailed work plan (10 to 15 pages); plagiarism will be checked by DAAD! A recommendation letter by head of department indicating that you are a member or prospective member of staff and how you will be integrated into the staff development agenda of the university.